Children love to play, especially with water. For that, buying a water table allows them to enjoy their play time and explore other imaginations. 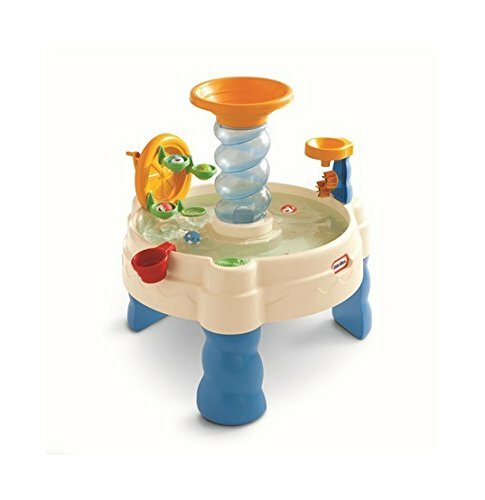 The water and sand table is the perfect gift for your child to enjoy his/her watery play time. It is all about finding the right one for your kid. There are a lot of water tables for children out there. While it can be challenging to find the perfect unit, here is a list of the top five water tables you would want to get for your kid. This table comes with two separated sides for sand and water. It is strong enough to hold up to 20 pounds of sand. Also, the water table is fitted with an umbrella to help prevent your child’s skin from the harsh sun rays. There is a single-piece plastic cover that helps to keep the sand clean and dry. Other than that, this unit comes with some parts, including a shovel for scooping sand, bridges, pots, and boats. All these are included to make your kid’s playing time an adventure. It can be used by toddlers and young children too. The table is easy to assemble, and it drains easily as well. This multipurpose table is user-friendly, and it is quite durable. Nonetheless, you should avoid using it indoors since some users claim that it can leak when the baby is using water on it. 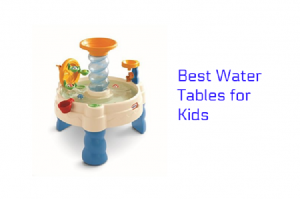 This is yet another amazing water table that assures your child of endless fun and imaginations. 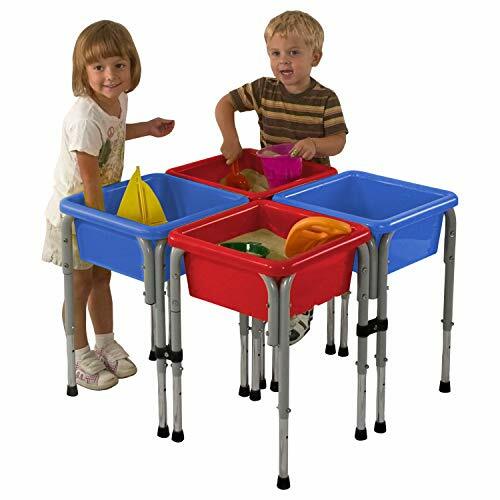 The water table also comes with several accessories that can be used by toddlers or older children. A spiral stand is placed at the center of the table, which gives it an appealing look. However, it is not just a decoration. The spiral stand is large enough to accommodate a tennis ball. When a ball is dropped into the stand, it will move down in the transparent, curved track and into the water. The spiral funnel can also be used to boost the twin water wheel. An attached spinner is included on the table to create some waves with the water. The construction is sturdy enough, and it can contain a maximum of 6 gallons of water. The spiral stand gives this table extra stability to avoid the kid knocking it over. It can host more than just one or two kids, which makes it an ideal selection for team playing. 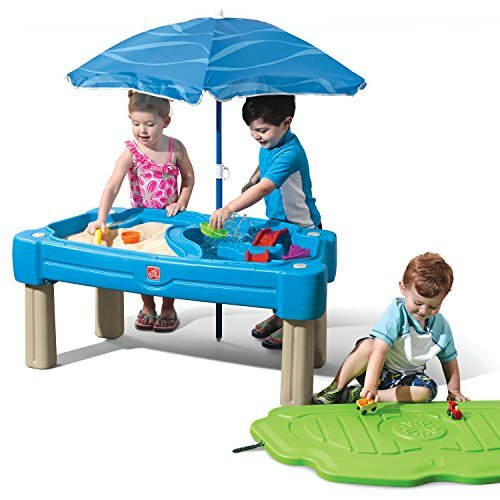 This water table is also developed by Step 2, and it comes with separated sides for putting water and sand. It has been made to hold a maximum of 10 pounds of sand, and 3 gallons of water. A roadway is placed between the two sections to give you an extra realistic look. The surface area of the water section is big enough, meaning that your child can float their boats on the water without experiencing any limited amount of space. There is a lid that comes with molded roadways on it. This is just to give your kid extra playing surface. 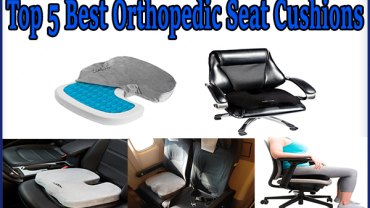 It is durable, and also easy to use. It is also quite portable, making it easy to shift it to an ideal location. This water table has been developed to allow you to choose wisely for your kid. The table comes in 2, 4, 8, and ten station option. If you have a preschool child, this is the perfect gift to get for them. It is easy to assemble and dismantle the table. There is a removable basin that allows you to clean it easily. The table has steel legs that can be adjusted to their heights. This means that the table can last for a long time, especially if you choose a sturdy unit. This is one amazing water and sand table that has been developed with a simple and unique design. Also, there are some accessories like a rake, shovel, castle, watering can, among others. The entire set comes in different bright colors that are ever-appealing. 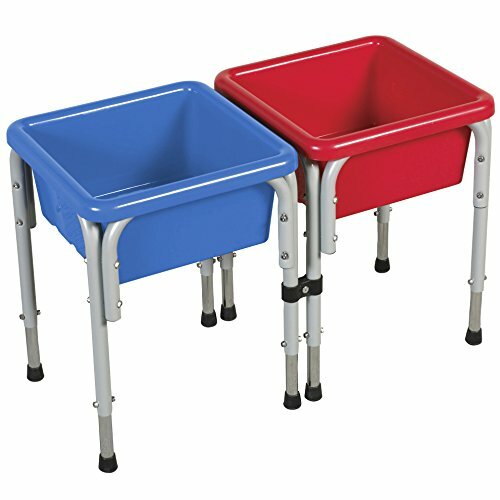 The stability of the table is another major factor that makes this water table stable and sturdy. The supports are also included to avoid tripping as the child is using it. 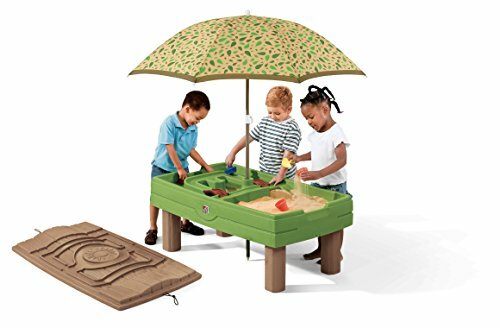 Fortunately, this sand and water table can be used indoors or outdoors. Your child is still young, and they should not have a tough time when playing with their water table. For that, avoid choosing tables that are too complicated to handle. The table must be user-friendly. As the child grows, they will be bored when playing the same game over and over. Therefore, you can purchase a unit that has mixed media. If the child is tired of playing with water, they can easily switch to sand. Ideally, choose a table that has different playing sections. You will find a range of accessories included with the water table, and they include pipes, molds, sifters, bucket, among other tops. If you want to use it for water, you can always check the drain. If the drain is not good enough, you will have a difficult time cleaning the table. However, a good drain will eliminate the dirt on the table. Some water tables have an umbrella to assure your child of safety as they are playing. It is important to know what the customers are saying about the price of that table. Typically, too cheap water table means that the item can break down anytime because it is of a poor-quality. Conversely, a quality material is slightly costly, but it comes with a lot of features and accessories. Always ensure you choose a table that is affordable enough, and one that falls under your budget approximation.